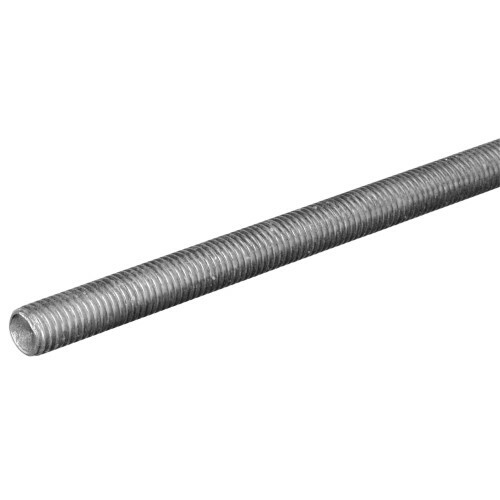 The SteelWorks Zinc Threaded Coarse Rods are great for hangers, anchor bolts, U-bolts, and clamps. Complete with a zinc plated finish these threaded rods have been electro plated to proved a clean and bright look. Electroplating zinc also protects against rust. Do not weld electroplated products. Available in several sizes. #6 #8 #10 1" 1-1/2" 1-1/4" 1-1/8" 1/2" 1/4" 3/4" 3/8" 5/8" 5/16" 7/8" 7/16" 9/16"